When Chic Child was coming up 40, he rang some friends. Could he come and stay for a bit? A father, designer and coming up to middle age, he turned up at his friends with his entire set of possessions — a motorbike and a rucksack. Behind him he left a wrecked marriage. His second. His first had ended the same way some years before. ‘Yeah’, he says, ‘it was the second time I’d done that. Gone back to where I started. The first time I just got in a mess between two women and so I fuelled up the car and just left, and drove, and ended up in Spain. Then I sold everything, the car, the guitars, and flew to the States, where I was supposed to be doing some music recording. This was a key insight. Chic’s not claiming he foresaw the catastrophic collapse of the magazine industry, but he spotted what is the downfall of many in whatever industry they are in. They are getting older and that alone is enough to consign them to the scrapheap way before they expect. It happens every day. But he did something about it. Specifically, he started to split his time between doing freelance magazine design and following up on what a mate suggested. 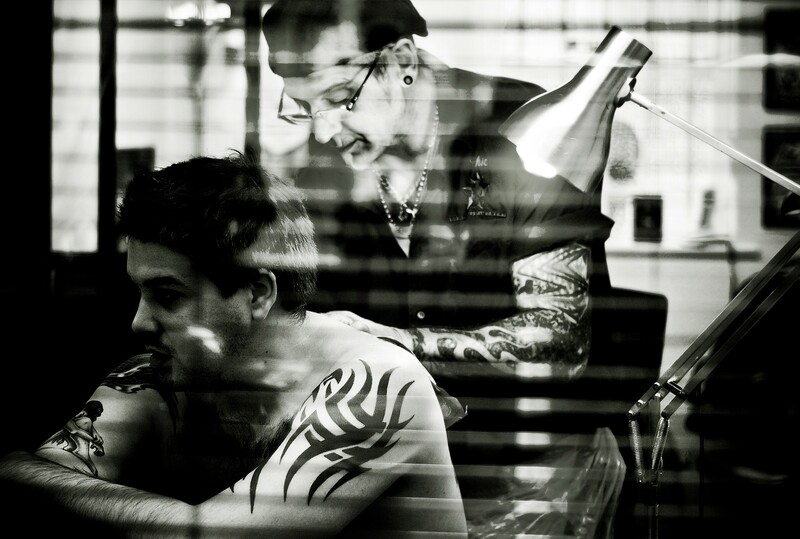 ‘Paul had this idea that because I was a creative he wanted to set me up as a tattooist in his hairdressing salon. He had a huge place, a massive studio. And I said “But I can’t tattoo!” And he said “Well you can paint, and draw and design and all that, so you must be able to do tattoos”. At this point Chic was still doing freelance design work, but in his evenings and weekends he started to experiment in a medium he'd never worked in before. He bought a book, on how to tattoo — remember this was before you could just go online and find a video tutorial for every subject under the sun. He read the book. He did his first tattoo. On himself. Then he did a tattoo on a mate who had plenty of ‘professional’ tattoos and it turned out really well. So he started doing small things on other people, practicing, but not making any money. ‘As soon as you have a tattoo machine, everyone is your best mate’ Chic says. ‘Because they want a freebie. I didn't make any money because I was practicing and I can remember one Bank Holiday weekend being completely skint. Not enough money to buy food. But then a bloke I knew rang me up, he was a transvestite restaurant owner I knew a little bit. A nice bloke actually. YOU GOTTA HAVE FAITH. AND SARAH. Things got a bit more professional and stable when he started working part-time in a proper tattoo shop. He was still freelance designing, but would work in the tattoo shop in the evenings, at weekends and the occasional week’s holiday taken from design work. At this point he had two part-time incomes and things were a bit better. But that’s not what made it much better. That was meeting Sarah. You can do all the spreadsheet and profit and loss accounts, you can do three-year business plans and you can work out exactly when you’re going to go into profit. But that’s not the bottom line. The bottom line is people. But with Sarah’s confidence in him, he took the plunge and opened up a small studio in Horley, near Gatwick Airport, in southern England. Chic borrowed some money off Sarah’s family, and they all pitched in to help get the tattoo studio ready in three months. 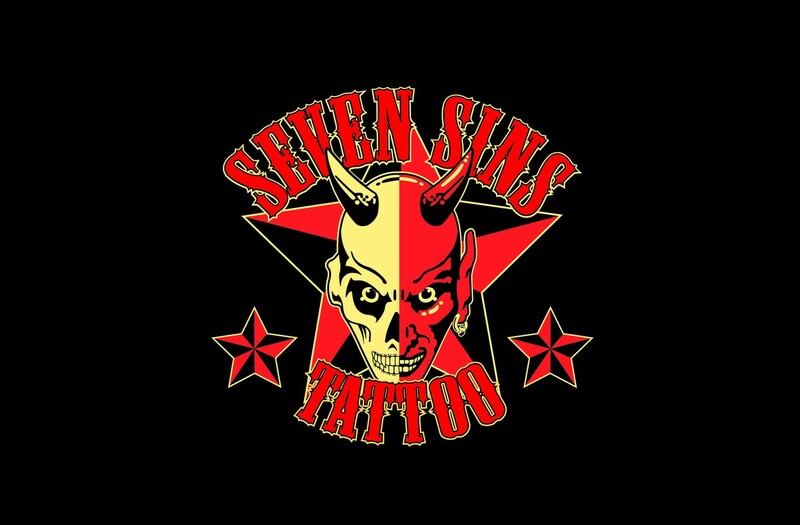 Seven Sins was in business, opening in 2000. He looked around, found a bigger premises closer into town, amid charity shops and banks and ‘normal’ shops, and opened a bigger shop doing tattoos, piercings, clothing and everything else. 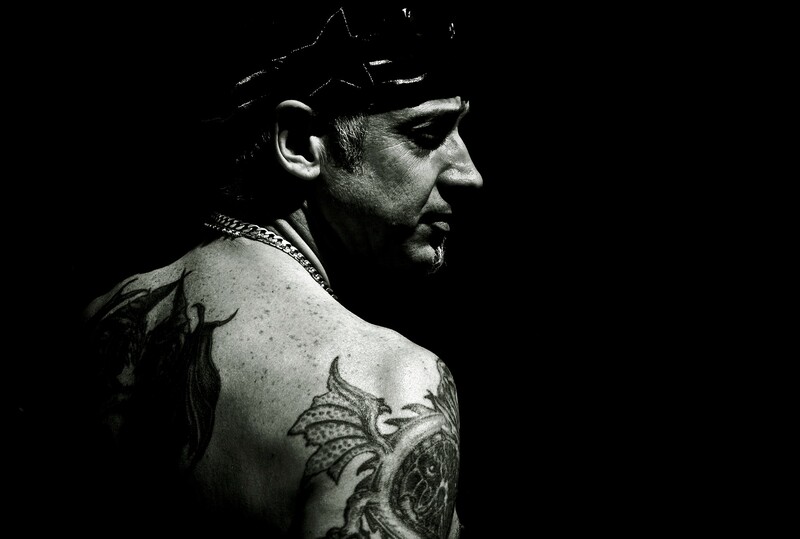 He now has six staff: four tattooists, one body piercer and an office manager. They're all, he says proudly, ‘full time and on the books, all busy all the time’. And the roof doesn't leak. Chic puts their clear popularity down to two factors which ought to be universal but often aren’t. He gives the customers what they want, not what he thinks they ought to have, and he and his team do the best work they possibly can every single time. After all, it’s not like you're buying a watch you can stick in a drawer if you go off it. ‘At first it was scary. Before, I'd worked on paper and on computer screens, but now I'm working on human skin and it will never get better — the ageing process just makes what you do worse with time. So, he now runs a business that gives him professional satisfaction and which also brings him a good income — he now owns rather more than one bike and a rucksack. What does he put it down to? ‘Like I say, give the customer what they want and do the best work you can possibly do. When I started, a mate said it would take five years to build up a business and he’s quite right, that’s what it took. I've never had a job for more than four years before, not because I quit but because I outgrew the jobs and, as a designer, there isn't a career structure. This is the longest I’ve done anything. That sounds fairly mushy, but it comes from a man who’s still very muscular and of course covered in tattoos. He also has the stillness and thousand-mile stare you'd expect from a man who’s held a black belt in Taekwondo for several decades. Chic made the decisions which brought him this lifestyle. I know of two other magazine designers who were in the same boat as Chic, and one is now a house-husband and the other one is a bus driver. To him it wasn't so much about making the decisions as watching the patterns, almost like the lines he draws on skin.